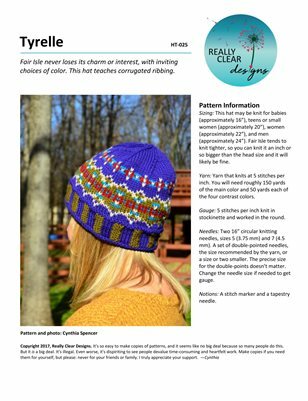 Fair Isle never loses its charm, with inviting choices of color, and never-ending interest during the knitting. This hat is perfect for leftovers. You know you have them! Take this opportunity to learn how to make corrugated ribbing. It's so easy, and you'll wonder why you never tried it before!